Come tour our Residential & Outpatient program, meet your specialized team, get your questions answered & join the community! With our experienced clinicians,accreditations and rankings, you'll feel comfortable referring your patients to Success Rehabilitation. Submitting a Referral for approval of services will be reviewed by Success Rehabilitation's Director of Admissions. You will received notification once our review is completed. 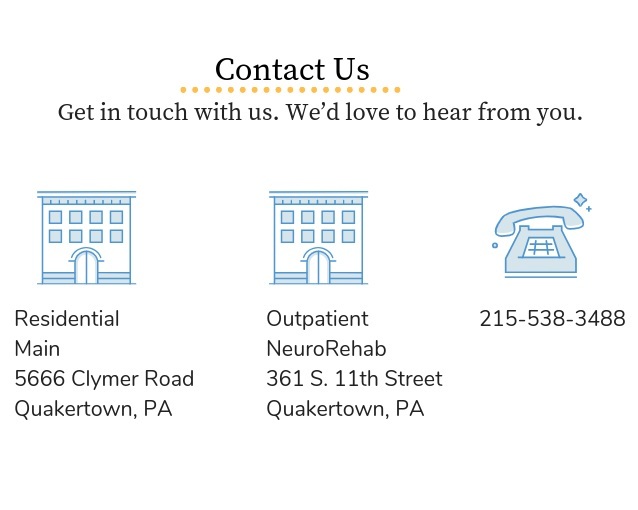 To refer your patients to Success Rehabilitation, please fill out the forms below, sign, or simply call 215-538-3488 and ask for the admissions department.